This Notice of Privacy Practices is NOT an authorization. It describes how we, our Business Associates, and their subcontractors may use and disclose your Protected Health Information to carry out treatment, payment, or health care operations, and for other purposes that are permitted or required by law. It also describes your rights to access and control your Protected Health Information. “Protected Health Information” is information that identifies you individually, including demographic information that relates your past, present, or future physical or mental health condition and related health care services. Health Care Operations: We may use and disclose your Protected Health Information to manage, operate, and support the business activities of our practice. These activities include, but are not limited to, quality assessment, employee review, licensing, fundraising, and conducting or arranging for other business activities. In addition, we may call you by name in the waiting room when your consultant is ready to see you. We may use or disclose your Protected Health Information, as necessary, to contact you to remind you of your appointment (including leaving messages on your answering machine for phone numbers you provided), and inform you about treatment alternatives or other health-related benefits and services that may be of interest to you, including marketing and sales promotions. Business Associates: We may disclose your Protected Health Information to our business associates who provide us with services necessary to operate and function as a medical practice. We will only provide the minimum information necessary for the associate(s) to perform their functions as it relates to our business operations. For example, we may use a separate company to process our billing services that require access to a limited amount of your health information. 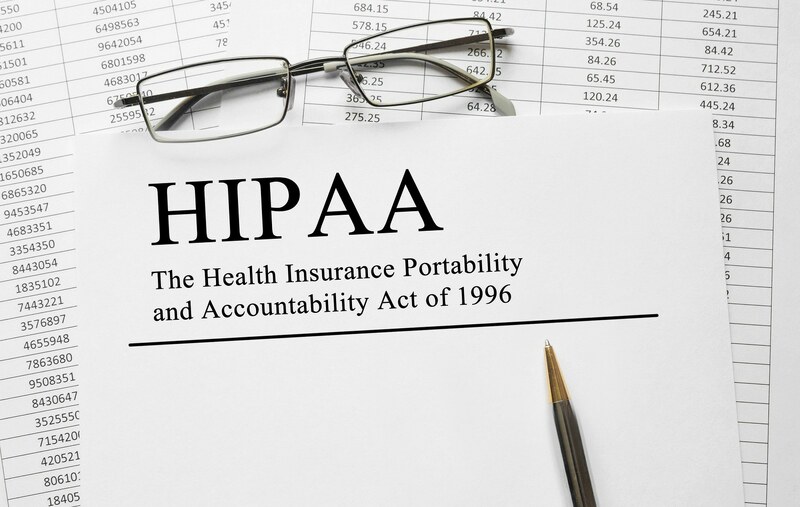 Please know and understand that all of our business associates are obligated to comply with the same HIPAA privacy and security rules in which we are obligated. Other means of communications: Unless you object, we may leave messages on answering machines or with family members or by mail for the purposes of appointment reminders, notifications that hearing aids/parts have arrived, sales promotions, and general business practices. Marketing and sales: We may contact you regarding marketing and sales events. You have the right to object or opt out of this type of communications. Please let our office know if you would NOT like to receive such communications. You have the right to inspect and copy your Protected Health Information (reasonable fees may apply): Pursuant to your written request, you have the right to inspect and copy your Protected Health Information in paper or electronic format. Under federal law, you may not inspect or copy the following types of records: psychotherapy notes, information compiled as it relates to civil, criminal, or administrative action or proceeding; information restricted by law; information related to medical research in which you have agreed to participate; information obtained under a promise of confidentiality; and information whose disclosure may result in harm or injury to yourself or others. We have up to 30 days to provide the Protected Health Information and may charge a fee for the associated costs. You have the right to request restrictions of your Protected Health Information: You have a right to restrict and/or limit the information we disclose to others, such as family members, friends, and individuals involved in your care or payment for your care. You also have the right to limit or restrict the information we use or disclose for treatment, payment, and/or health care operations. Your request must be submitted in writing and include the specific restriction requested, whom you want the restriction to apply, and why you would like to impose the restriction. Please note that our practice/your consultant is not required to agree to your request for restriction with the exception of a restriction requested to not disclose information to your health plan for care and services in which you have paid in full out-of-pocket. You have a right to receive a paper copy of this notice: You have the right to request we provide this notice in paper form. You may make such a request at any time. This notice is posted in our office. If at any time you believe your privacy rights have been violated and you would like to register a complaint, you may do so with us or with the Secretary of the United States Department of Health and Human Services. If you wish to file a complaint with us, please submit it in writing to our Privacy/Compliance Officer to the address listed on the first page of this Notice. If you wish to file a complaint with the Secretary of the United States Department of Health and Human Services, please call 877-696-6775. We are required by law to provide individuals with this notice of our legal responsibilities and privacy practices with respect to Protected Health Information. We are also required to maintain the privacy of, and abide by the terms of the notice currently in effect. If you have any questions in reference to this form, please email Suzanne Holcomb, HIPAA Compliance Officer, info@hearingdynamicsaz.com.